On Thursday, the very first BelugaXL from Airbus rolled out of the paint-shop with an incredibly special and effective livery making it look like the biggest Beluga Whale in the history of the world. 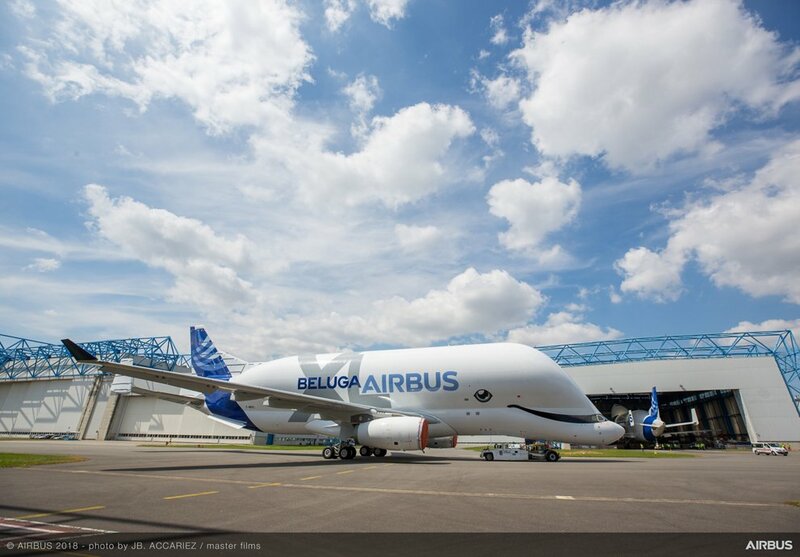 The special livery was one of six choices submitted to Airbus employees through a poll where 20,000 people participated. 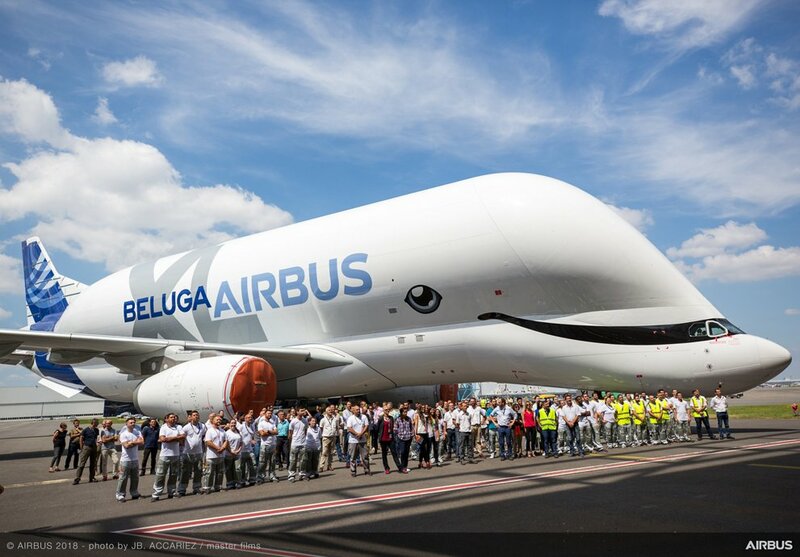 With 40% votes in favour, the smiley livery won - well done Airbus workers! 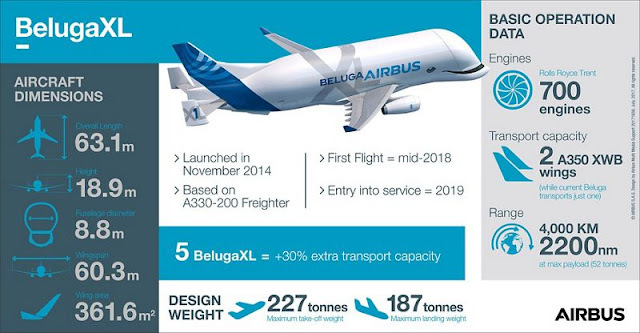 The decision to build the supermassive BelugaXL was taken in November 2014 to address the transport and ramp-up capacity requirements for Airbus beyond 2019. 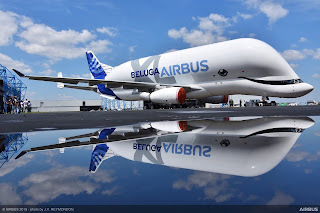 The new oversize air transporters are based on the A330-200 Freighter, with a large re-use of existing components and equipment. The first BelugaXL will now undertake ground tests before its first flight planned for later in the summer 2018 and will enter into service during 2019. 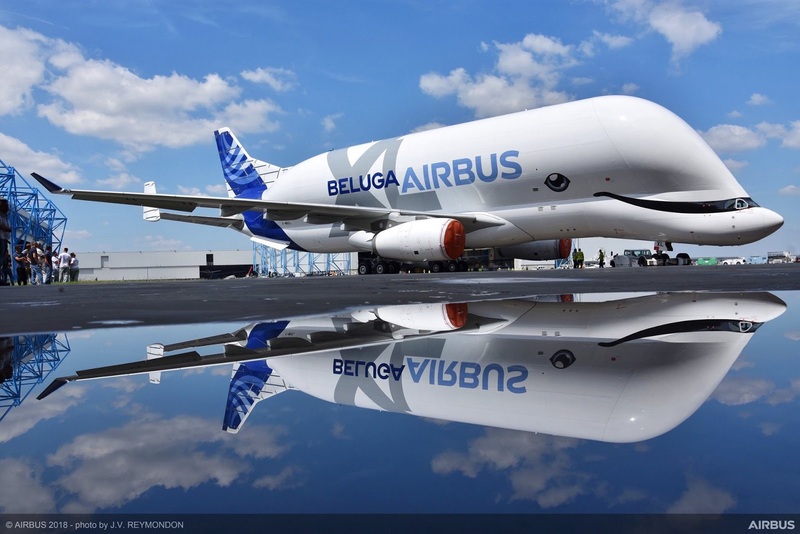 Airbus is making five of these mammoth airborne whales!